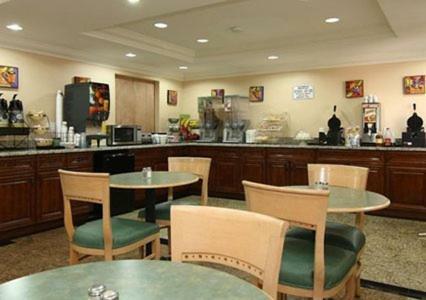 Description This College Park, Georgia hotel has free internet access and non-smoking guest rooms. 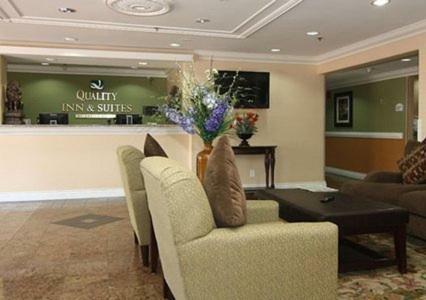 Along with the conveniences of free Wi-Fi and a free airport shuttle Quality Inn & Suites Atlanta Airport South makes for a high-quality experience for our guests. This three-floor interior-corridor 95-room property is decorated with warm designer color palettes and vibrant artwork. 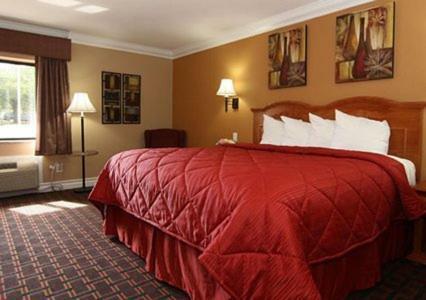 Rooms have extra comfy upgraded beds mini-fridges and microwaves flat-panel TVs and free Wi-Fi. Squeeze in a workout at the on-site fitness room. 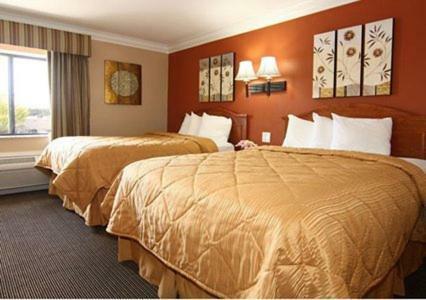 Leave fresh as a daisy thanks to the guest laundry facilities. 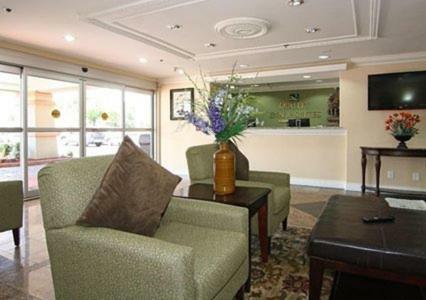 And know that you'll catch your flight in plenty of time care of the free airport shuttle. On-site parking is also free. 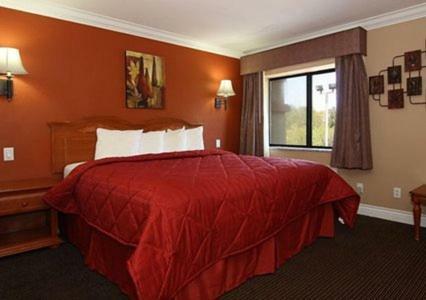 Only about one mile away from Hartsfield-Jackson Atlanta International Airport (where you can catch MARTA rapid rail into downtown and beyond) the hotel is at the crossroads of I-85 and I-285 putting guests on the fast track to their destinations. Business-class folks can see what's cookin' at the Chick-fil-A headquarters in 10 minutes. You can fly to the offices of Delta Airlines and FAA or to the Georgia International Convention Center just as fast. 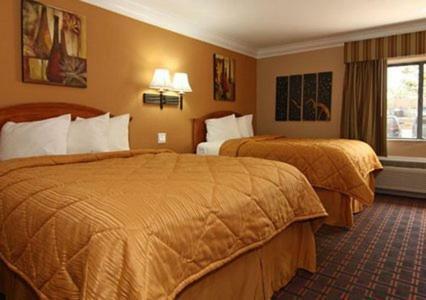 Add Quality Inn & Suites Atlanta Airport South to your free online travel itinerary.